Japanime Games wants everyone to be able to play their games. Particularly, right now, they're focusing on making it so a whole new audience can enjoy Tanto Cuore, their deck-building game. 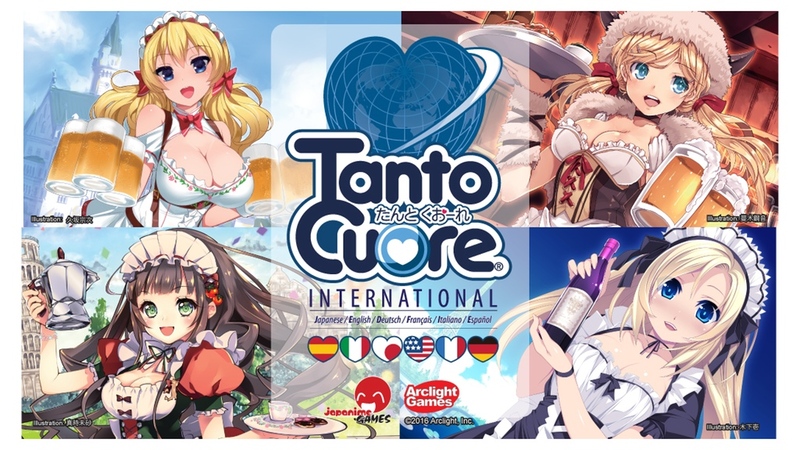 As such, they've launched a Kickstarter campaign for Tanto Cuore International Edition. Though that last line's a bit of a misnomer. They've launched more than just a Kickstarter campaign. They're actually running campaigns on 4 different crowdfunding platforms. They're adding all the totals together, in terms of money raised and backers, in order to unlock stretch goals. The game will be available in French, Spanish, German, and Italian. There's also the potential to get the base Tanto Cuore game translated into those languages, too. The campaigns are up and running now and set to go for another 22 days.